Thomas C. Vanden Berk has devoted nearly 40 years to improving the lives of abused, neglected and dependent children. Tom received his Bachelor of Arts in Sociology in 1970 from the University of Wisconsin and he received his Masters in Business Administration in 1982 from Roosevelt University in Chicago, IL. Formerly Assistant Executive Director/Director of Residential Services for Lawrence Hall Youth Services, Tom now serves as the Chief Executive Officer at UCAN. During his tenure at UCAN, Tom has brought the agency to the forefront of child welfare agencies in the Chicago area. When Tom took over in 1987, UCAN was a shelter for 50 boys and girls on the brink of closing. Through his innovative leadership and hard work as well as commitment from a dedicated and involved board of directors, UCAN achieved certification by the Council on Accreditation of Services for Families & Children in 1991 and completed a $5.6 million renovation of its facilities in 1993. At this time UCAN expanded their services to provide a full continuum of care. In this expansion, UCAN’s budget grew from $1.7 million in 1987 to $36 million in 2009. 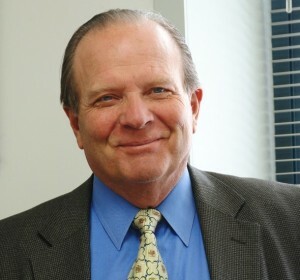 Tom was Chairman of the Board of the Illinois Council on Training (ICOT) during its formative years from 1985 to 1996. He serves as Co-Chair of the Child Welfare Advisory Council (CWAC) of Illinois. He has also served on the Secure Care Advisory Committee, was former co-chair of the SED (Serious Emotional Disturbance) Sub Committee of CWAC, and was 1st Vice Chair of the Board of Directors of the Child Care Association of Illinois. He is an advisory board member of the NIU Center for Child Welfare & Education and an advisory board member of the Dominican University School of Social Work. He is an active member of the Child Welfare League of America (CWLA), the CWLA National Advisory Council of Executives, and the CWLA Midwest Public Policy Committee. Tom is also a board member of the National Runaway Switchboard, a member of the Council for Health & Human Service Ministries (CHHSM) and Chair of the IL Conference of CHHSM, and Board Member of the Youth Network Council. He is also a Diakonal Minister and a member of the Economic Club of Chicago. Tom has been awarded the “Friend of Child” award from the IL Council on Training. He has also received the 1998 Peace Leader Award from the Illinois Council for the Prevention of Violence, the 1998 CHHSM Executive of the Year award, and was named the Join Together Hero (a gun violence prevention movement) in 2002. In January of 2007, he received the “Citizens Advocacy Award” from the Illinois Council Against Handgun Violence. Personally, Tom suffered the loss of his 15-year-old son as a result of gun violence in 1992. He turned his anguish into forceful determination, becoming instrumental in informing and educating child welfare organizations on the importance of planning strategies against gun-related death, disability and suffering. He is a member of the Steering Committee of the HELP Network. In addition, Tom founded HELP for Survivors, a victim self-help support group for parents and others who have lost children or loved ones due to the gun violence epidemic, and also became one of the founding members of The Bell Campaign, which eventually became known as the Million Mom March (MMM). In 2001, the MMM formed an alliance with the Brady Campaign. Tom presently serves as a board member of the Brady Campaign/Million Mom March. He speaks on the subject of gun violence frequently, testifying before the Senate Judiciary subcommittee. He continues to work actively with Chicago’s Mayor Rahm Emanuel to work towards the implementation of sensible gun laws in Chicago and its surrounding communities. Tom is also a member of Governor Quinn’s Illinois Anti-Violence Commission.